CHAPEL HILL - U.S. Senate candidate Dan Blue picked up endorsements from 20 current and former elected officials from Orange and Chatham counties during a Tuesday news conference at the Franklin Street post office. Nine of his new backers joined Blue for the morning event, which took place on a traditional rallying ground for the local political community. They said Blue is the Democrat best equipped to take on Republican Elizabeth Dole in November, and the one with the strongest credentials for a would-be senator. "We need a candidate who will represent Main Street, not Wall Street," Carrboro Mayor Mike Nelson said. "And Dan's just strong. After 22 years in elected office, he's got a strong track record of working on issues that people in this county care about." Nelson was the main spokesman for the group and the most senior of the current office-holders who lined up behind the candidacy of the former speaker of the N.C House. Blue, D-Wake, is running on a crowded primary slate that also includes former White House chief of staff Erskine Bowles, former Durham City Councilwoman Cynthia Brown and N.C. Secretary of State Elaine Marshall. The sitting officials who endorsed Blue on Tuesday also included Carrboro aldermen Joal Broun, Mark Dorosin and Diana McDuffee; Chapel Hill town councilman Mark Kleinschmidt and Bill Strom; Orange County Commissioner Moses Carey Jr.; and Chatham County Commissioner Margaret Pollard. Blue also got endorsements from former city school board members Sue Baker, Fred Battle, Ed Caldwell, J.R. Manley and Ted Parrish; former Chapel Hill town councilmen Mark Chilton, Joe Herzenberg, R.D. Smith and Joe Straley; former Carrboro aldermen Braxton Foushee and Allen Spalt; and former Hillsborough Mayor Horace Johnson. Blue "is electable and he stands for things I think a Democratic candidate should stand for," Herzenberg said. "Some of the so-called New Democrats have gone a little too far to being old Republicans. In particular, I'm afraid that Mr. Bowles has gone too far over to the pro-business side." "Cat, because I don't really know...well, yes I do. I am really just against dogs. My cat Alice is the greatest cat, I wish she was here." Labels: Are you a cat person or a dog person? When you run for political office, it's best to make sure your closet is clean of skeletons. And conventional wisdom also tells you that if you're gay and want a political office, it's best to stay in the closet. But more and more successful pols are bucking that trend. If you don't believe me, take a look at the photo exhibit "Out and Elected in the U.S.A." on display at the Carrboro Century Center. The exhibit was organized by Washington, D.C., photographer R. S. Lee, who spent more than four years compiling all of the material. There are 60 photos of gay, lesbian, bisexual and transgender Americans who either hold public office or held public office in the past. Surrounding the photo montages are personal essays from leaders in 30 of the 33 states where openly gay and lesbian officials have captured elected office. With the sponsorship of the Gay and Lesbian Victory Fund, a national educational and public interest group that helps gay and lesbians attain political office all over the country, the exhibit is on a national tour after a stint in Washington, D.C.
And Carrboro was its first stop. There's good reason for Chapel Hill and Carrboro to be the national debut for this exhibit. That's because this area has been the vanguard of LGBT political opportunity in North Carolina. In fact, two of our own are on display in the exhibit itself. 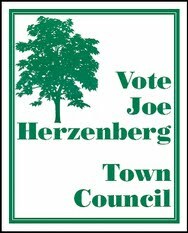 Joe Herzenberg, former Chapel Hill Town Council member and mayor pro tem, became the state's first openly gay elected official when he sat down in the Chapel Hill Town Hall in 1987. 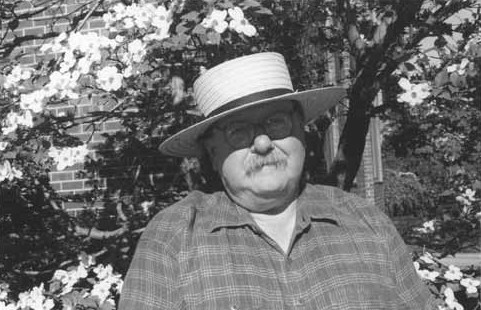 And Carrboro Mayor Mike Nelson became North Carolina's first openly gay mayor in 1995. But obviously Chapel Hill and Carrboro are not microcosms of the entire state. There are still many counties here where people would be deathly afraid to come out of the closet, much less try and run for a publicly elected office. Supporters of this exhibit, including photographer Lee himself, hope this tour will allay some of those fears -- or at least educate the public at large. "If this can help one person who has always said, 'No way, no how,' realize that it doesn't have to be that way, that they don't have to spend their life trying to be something that they're not, then I've accomplished my goal," Lee said. People like Nelson and Herzenberg are anomalies in a state whose national political identity is inexorably linked with Sen. Jesse Helms. But recognizing their contributions to political mainstreaming for gays and lesbians in the state is important. After all, what other group of people can say they have representatives holding political office in just 33 of the country's 50 states? Though racial and religious discrimination is still prevalent in our country, discriminating against and ostracizing gays and lesbians are the most socially tolerated forms of intolerance in our society today. Jokes and innuendo regarding sexual orientation are fair game for sitcoms and late-night comedy hosts. Walk through the Pit and hear, "That's so gay," or, "What a fag." In such a climate at large, is it any wonder that there are only 33 states with openly gay and lesbian officials? That's why recognizing those who have taken the bold step to not only open up their closets to the public, but freely come out of them, is worthwhile. "Out and Elected in the U.S.A." premiered April 14 to a crowd of more than 100. The exhibit runs through May 12. Take a few minutes to visit. The men and women who grace the Century Center's walls are pioneers who have my gratitude and respect. At the very least, they deserve to have us hear what they say. CARRBORO - At any given time in the United States, there are roughly half-a-million elected officials, and a growing number are openly gay. In "Out and Elected in the U.S.A.," a photo-text exhibit now on display at the Carrboro Century Center, photographer and documentarian R.S. Lee has captured what some are calling a new phase in American political history. excerpts from interviews conducted by Lee over the past four years, capture the experiences of 60 openly gay politicians in 30 states over the past 30 years. At Sunday's opening, Lee said he set out to learn as much as he could by documenting the stories of out and elected officials in their own words - asking, Who are they? What don't we know about them? How did it happen? Lee said he was drawn to these questions because when people who are "out" decide to run for office, "They hold themselves up to public scrutiny with the uncertainty of how the electorate would respond." "It's difficult to be gay in our culture in many ways," Lee said. "We have a way of putting politicians on a pedestal and also throwing eggs at them." Carrboro Mayor Mike Nelson was among several local politicians to attend the opening. "I'm glad that these folks are being recognized for the work they did because they're pioneers in their own communities," Nelson said of the exhibit, in which he is one of the politicians featured. "This last 25 years is really important because it was the first wave of openly gay and lesbian people in public office," he said. By documenting this moment in American political history, "Ron has done a service to not just the lesbian and gay community, but the American community in general," Nelson said. "It's not unlike the first wave of African Americans being elected to office." 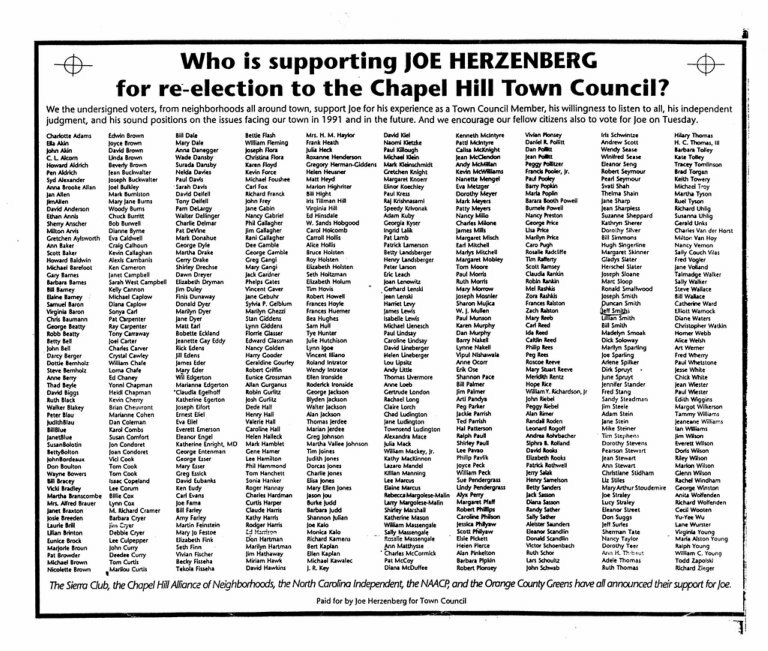 Former Chapel Hill Town Council member Joe Herzenberg, who is also featured in the exhibit, said that the exhibit showcases "a remarkably good bunch of people." "To be gay or lesbian and open about it. I don't know how to explain this. But you have to be a bit better than the rest," Herzenberg said. 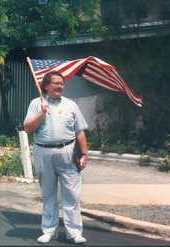 Herzenberg said that the public expects gay politicians to be beyond reproach, "even though we're not." CARRBORO -- A new exhibit, "Out and Elected in the U.S.A.," opening today at the Carrboro Century Center provides a snapshot of gays and lesbians in recent political history. "The real importance of this exhibit is the historical value of capturing this moment in time," Carrboro Mayor Mike Nelson said. "The last quarter-century has seen the first openly gay people elected to public office. It's like when the first women were elected and the first African Americans." "It's important that those folks and their lives be documented in some way." The photo exhibit of 60 openly lesbian, gay, bisexual or transgender Americans who have served or currently serve in elected office throughout the country includes Nelson and Joe Herzenberg, a former Chapel Hill Town Council member and mayor pro tem. 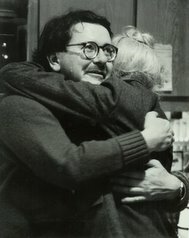 Herzenberg became North Carolina's first openly gay elected official when he took office in 1987, and Nelson became the state's first openly gay mayor in 1995. "I think gay political people elsewhere in the country think we are so brave down here having to deal with Jesse Helms," Herzenberg said. "But I've never met Jesse Helms. He doesn't live in my town. Really, life isn't so difficult here in North Carolina. "But there may be a pity thing going on." Carrboro is the first stop on a national tour for the exhibit, which was organized by Washington, D.C., photographer R.S. Lee and sponsored by the Gay and Lesbian Victory Foundation. "While the collection focuses specifically on the collective experience of lesbian, gay, bisexual and transgender political candidates, ultimately it reflects the courage of all people who hold themselves up to the scrutiny of the electorate," Lee said. "They care about their communities and want to make a difference." The 60 photos hang near personal essays written by officials from 30 of the 33 states where openly gay and lesbian candidates have been elected. Herzenberg said the photos and personal essays in the exhibit help put a face on a part of the population that many people might not realize is there. "I still believe very strongly that it's important for gay people to come out and run for public office," Herzenberg said. "It's important because it helps to dispel the notion that there's no gay people where we live." Nelson said he was honored that the exhibit is debuting in Carrboro, and he hopes that the show will highlight the larger issues of democracy and fairness. "A democracy works best when a diverse set of views is at the table when decisions are being made," Nelson said. "The importance of having openly gay elected officials can't be overstated." Carrboro first stop in nationwide tour for Out & Elected in the U.S.A. The Carrboro Art Committee, Chapel Hill Public Arts Commission, and the Gay and Lesbian Victory Foundation are pleased to announce the arrival of an important new nationally touring exhibit. Out & Elected in the U.S.A. features 60 photographs with accompanying texts of openly lesbian, gay, bisexual, and transgender (LGBT) Americans who have served or currently are serving at nearly every level of elected office throughout the country. Through the efforts of Carrboro Mayor Mike Nelson, Carrboro was the first stop in the nationwide tour. "With black and white photographs, and the words of the subjects, this is a remarkable and thought-provoking body of work that documents the past 30 years of a significant emerging trend in U.S. political history," said Nelson. The collection includes subjects from 30 of the 33 states where openly LGBT individuals have been elected. Brian K. Bond, Executive Director of the Gay and Lesbian Victory Foundation, commented: "We are pleased to sponsor an exhibit that offers such personal and accessible testimony to the importance of the work we do at the Victory Foundation, preparing LGBT leaders for positions in public life." Out & Elected in the U.S.A. kicked off the tour with a display at the Carrboro Century Center on Sunday April 14, with a reception from 5 until 7 pm. 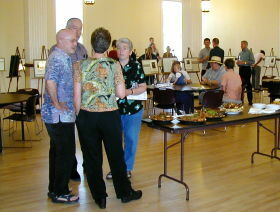 The free reception was open to the public and hosted a crowd of more than 100 people. The exhibit has been coordinated locally by volunteer Catherine DeVine. Of particular interest at the local level are two photos of local elected officials, Carrboro Mayor Mike Nelson and former Chapel Hill Town Council member Joe Herzenberg. The Carrboro Art Committee is honored to be showing this exhibition from April 14 until May 12, 2002. Stop by and check it out. Labels: Carrboro first stop in nationwide tour for Out and Elected in the U.S.A.
Miss Frances has fallen off her horse. That's how Frances Hargraves phrased it three years ago when lung cancer struck and she had to interrupt her volunteer work at the Northside pre-school, where she reads to the children, to have surgery and recover. She has fallen off her horse again, and this time she is wondering if she will be able to return to the beloved children. They were the first concern she mentioned to me several weeks ago while she was still at UNC Hospitals. Now she is back at home, but the prognosis does not look good for her return to the saddle. The cancer is back and, with Hargarves only a few weeks shy of 88 (her birthday is April 23), treatment looks more awful than helpful. As divine providence would have it, Edwin Caldwell, state Sen. Ellie Kinnaird, Velma Perry, Florence Peacock and Joe Herzenberg put their heads together about a month before Hargraves' "fall" and decided to give a tribute to one of Chapel Hill's finest and most-loved citizens. On Sunday, residents are invited to "A Tribute to Frances Hargraves" at the Horace Williams House from 3-5 p.m., where the retired teacher who has been the liaison between the black and white communities in Chapel Hill will be treated like the royal person she is. "We want to recognize the treasure Frances has been to our community," Kinnaird said. "She has created so much with her presence, energy and creativity. We just wanted to make a tribute to her -- to our beloved Miss Frances from all her friends and the community." Joe Herzenberg has known Hargraves since the early 1970s. "She was always so friendly and wanting to help with whatever the project was," he said, noting that Hargraves' attitude made a difference. "I just always enjoyed working with Frances." Hargraves grew up on the family farm in the spot on West Franklin Street where McDonald's now stands -- in the house in which her mother, Alice Neal, was born. Hargraves lived there until she was an adult, but while still a child, her mother, as the cook for two presidents of the University of North Carolina, exposed her to greatness. During the five years her mother worked for Harry Woodburn Chase, Hargraves accompanied her mother and became good friends with the president's daughter, with whom she ate lunch every day. During that time, little Frances learned that skin color made her different in the eyes of some. But she also learned that some white people are color-blind. When Frank Porter Graham became the president of the university, Alice Neal's excellent cooking skills were again called into service on East Franklin Street. Graham made a lasting impact on Hargraves. "Uncle Frank was ahead of his time," Hargraves said. "He was such a wonderful man, he was just born during the wrong time." But she recognizes that the strides that were made back then were only possible because of people like Graham. There is so much to be said about Frances Hargraves and all she has accomplished and all the hearts she has filled. The gathering on Sunday will be the chance for people to show their love and, of course, to learn even more about this Chapel Hill treasure. If you treasure Frances Hargraves, be there. She will be seated in the foyer and will greet people as long as her strength and her family will allow, then everyone will move into the rotunda, where 11 people will speak.